Heroes in books and movies captivate kids, many of whom could teach a master class on these characters. The fresh perspective teachers can offer is how students themselves can and should be heroes. As advocates of growth mindset, we can teach children that heroism does not require obsession with perfection or product. We should show students that we also value process and progress. Heroic stories can help: They teach students about mitigating mistakes, learning from loss, and overcoming adversity, all of which are key elements of growth mindset. 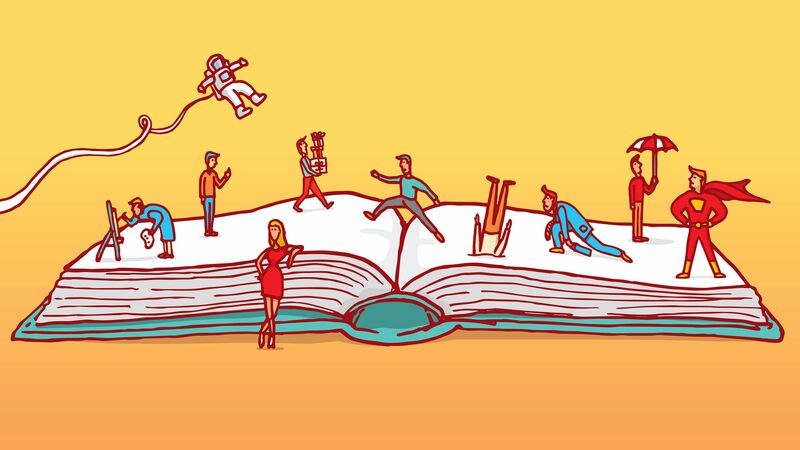 The following books feature protagonists of diverse backgrounds and races, many of whom reappear in compelling sequels that reinforce the initial lessons and keep students hungry for more. While these young adult books are typically middle school level, their resonant subject matter, complex characters, profound themes, vivid vocabulary, and historical contexts make them suitable as enriched reading for elementary students and as a bridge for high school freshmen. Don’t let the youth of the protagonists fool you: All of these books are worthy of serious study—and they invite multiple readings. Kenny from The Watsons Go to Birmingham—1963 by Christopher Paul Curtis: Ten-year-old Kenny is tormented by school bullies and his brother Byron, but when a family trip to the segregated South turns tragic, it is Byron who rescues his brother from trauma. Byron gently coaxes Kenny to reconcile with the monsters and angels that nearly destroy him. As Kenny makes peace with life’s joys and cruelties, readers realize that giving up is not an option. Karana from Island of the Blue Dolphins by Scott O’Dell: After the massacre of her father and many other members of their island tribe, an orphaned young girl is abandoned for 18 years when the remainder of the tribe departs for the mainland. Karana endures and even thrives by embracing enemies, both animal and human. This profound, beautiful story about the power of forgiveness and the triumph of the human spirit spurs students to summon their inner strength in the face of despair and desolation. Brian from the Hatchet series by Gary Paulsen: Brian enlists grit, guts, and the grandeur of nature to come to grips with himself, his parents’ divorce, and the harsh wilderness. Equal parts adventure and introspection, these stories promote inner and outer harmony, emboldening students to appreciate what they have and proving just how resilient humans can be. Katie from Kira-Kira by Cynthia Kadohata: When a move to 1950s Georgia separates her family from their Japanese community, Katie survives the stigma of bigotry with the help of her beloved, optimistic sister, Lynn. Lynn’s untimely death leaves Katie heartbroken, but she musters self-reliance and in turn becomes an inspiration to others. Katie’s family honors Lynn’s legacy, reminding readers to cherish hope even in the toughest of times. Matteo from The House of the Scorpion novels by Nancy Farmer: While trapped in the savage country of Opium, Matt realizes that he is actually the clone of the evil drug lord El Patrón. Matt claims his own identity by recognizing that choices, confidence, and adapting to change create true character. Cassie from the Roll of Thunder, Hear My Cry saga by Mildred D. Taylor: The Logans cling to their land and little victories amid poverty and prejudice in 1930s Mississippi. Although Mama strives to shield her children from the pain of racism, Cassie grows up fast as the seeds of the civil rights movement are planted in her family farm. Students will struggle with the hard choice between standing down and standing up for yourself. Stanley from Holes and Armpit from Small Steps by Louis Sachar: Sentenced to hard labor for a crime he didn’t commit, Stanley digs deep into a family curse that turns to fortune. This intricate, ingenious tale of friendship and fortitude will provoke debate about how much control we have over fate. Stanley and Armpit, the protagonist of Holes’ sequel, embody the pluck and persistence of growth mindset. Meg from the A Wrinkle in Time books by Madeleine L’Engle: Swept into a strange, scary new dimension on a desperate search to save her father and brother, Meg summons the supremacy of love to win the day. Alternately harrowing and heartwarming, the book reminds readers that the only way to defeat darkness is with the light inside us all. Being heroic can mean simply showing ourselves and others the best of what humans have to offer. We should cultivate and celebrate the hero living in each of us. Teachers can assist in this noble quest by supporting students in finding what is special about them (and each other!) and in nurturing the singular gift that only they can heroically share with the world. Once students can identify positive, productive qualities in others—first in books and media, then in friends and family—they soon recognize and develop those same positive attributes in themselves. Teachers who attend to the whole child understand how social-emotional-soulful learning directly impacts student success and satisfaction and actively encourage their students to become role models in their own right.